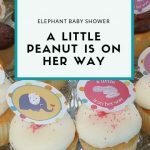 Back in October I co-hosted a baby shower for my cousin and I never posted photos here! I love hosting baby showers. 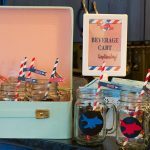 It’s so fun to celebrate a new baby and some of my favorite themes include nautical and travel. 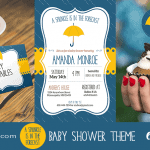 For this shower, I volunteered to do the decorations and dessert. 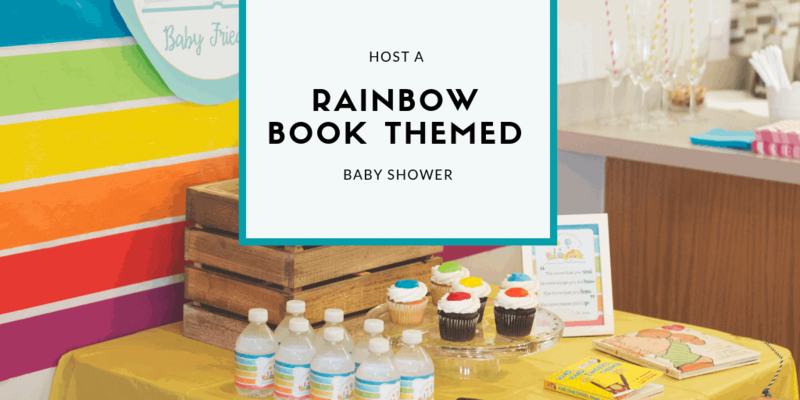 We chose a rainbow book baby shower theme. 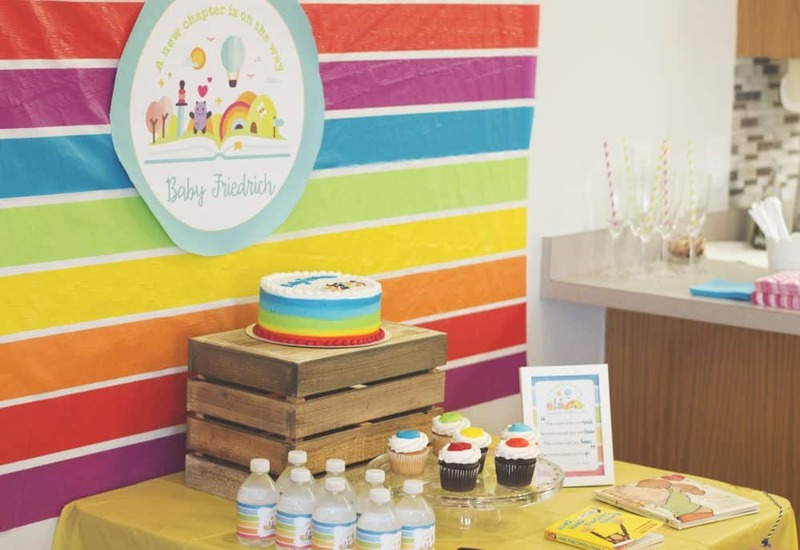 We used lots of bright colors, with no particular color dominating, which was perfect for being a gender neutral party. Here’s a few highlights to enjoy! 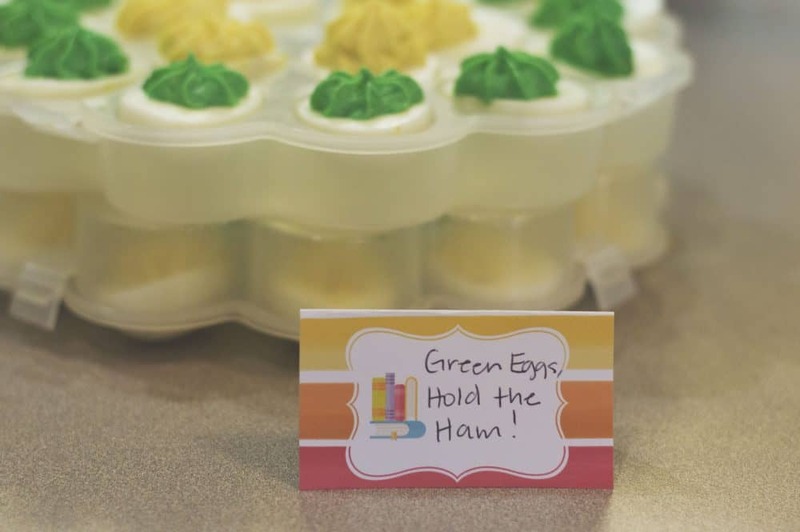 We didn’t do all of the food book related, but we did enjoy “Green Eggs, Hold the Ham,” which turned out super cute. 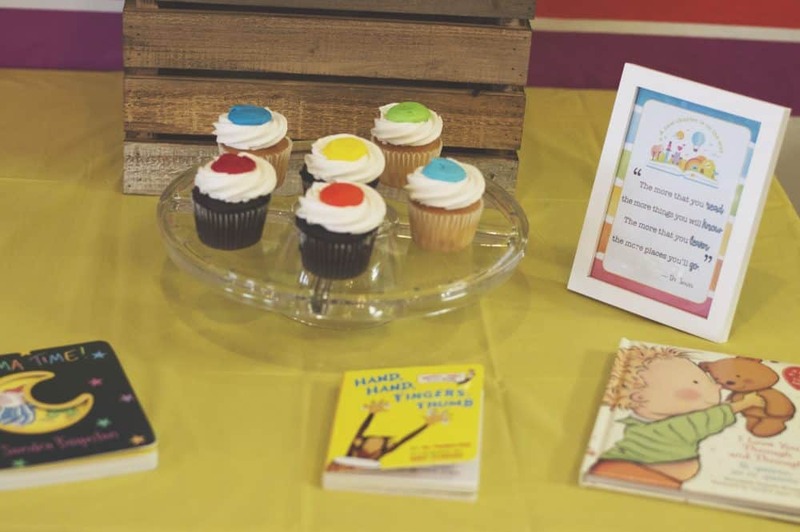 I picked up the cake and cupcakes from Target Bakery. They did a great job following the color scheme and theme! 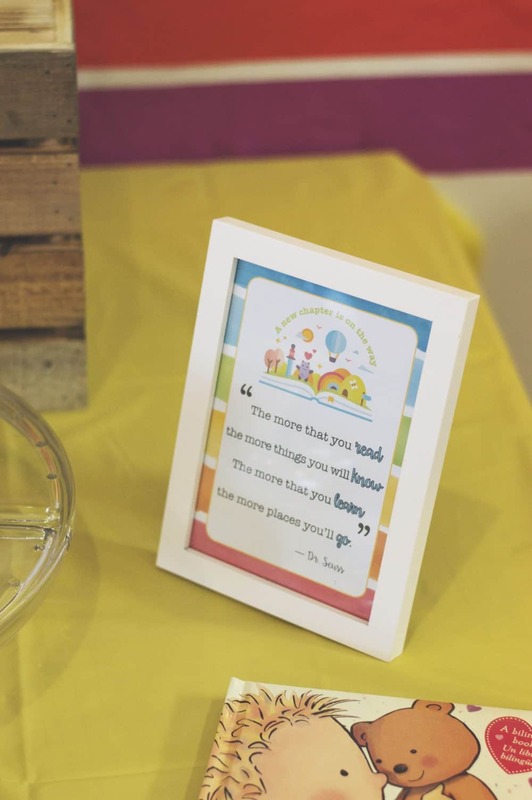 Water bottle labels were an easy decor piece. 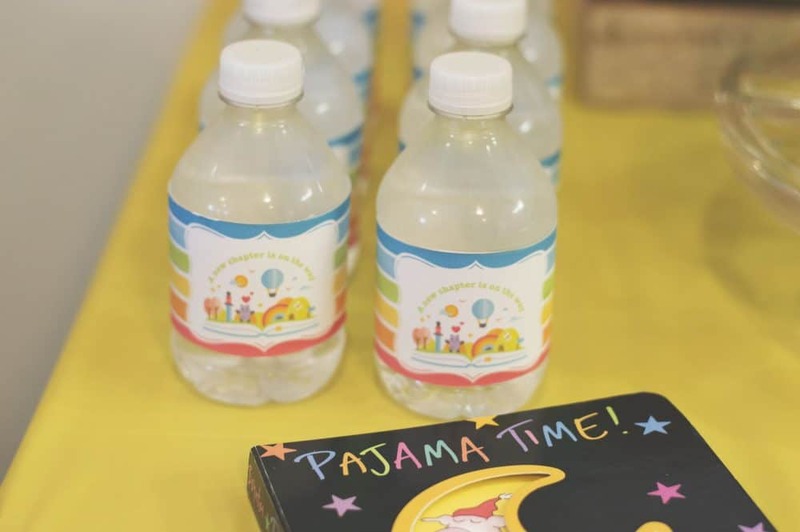 I love how quickly you can print these up and assemble around the bottle to really spruce it up. They sure looked cute all line up. 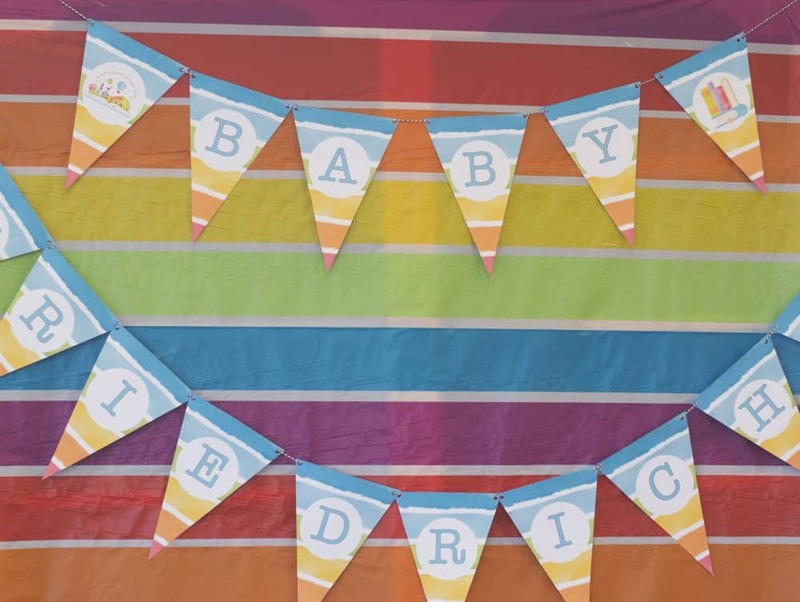 The Rainbow backdrop is a table cloth roll from Oriental Trading. I put together the circle and had it printed at Staples as an engineering print. The bunting was personalized with my cousin’s last name and printed on a Canon home printer , cut out, and assembled with baker’s twine . 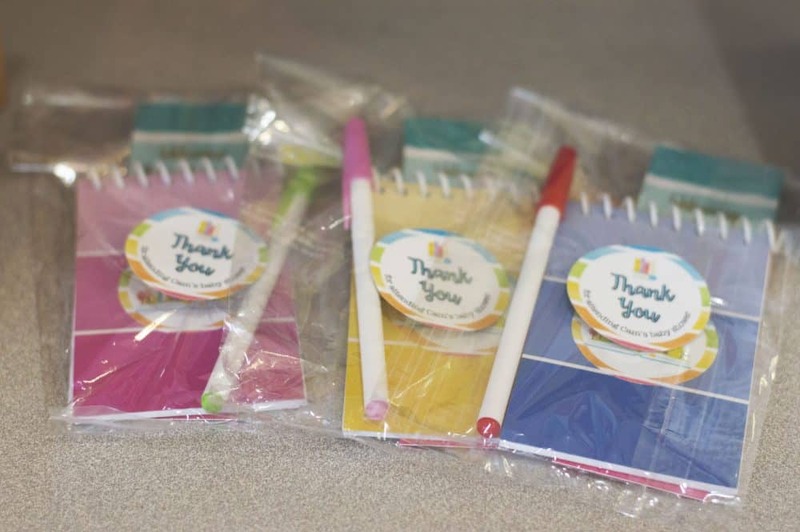 Favors included a custom book mark and a paint chip notebook from Oriental Trading, personalized with the shower theme. 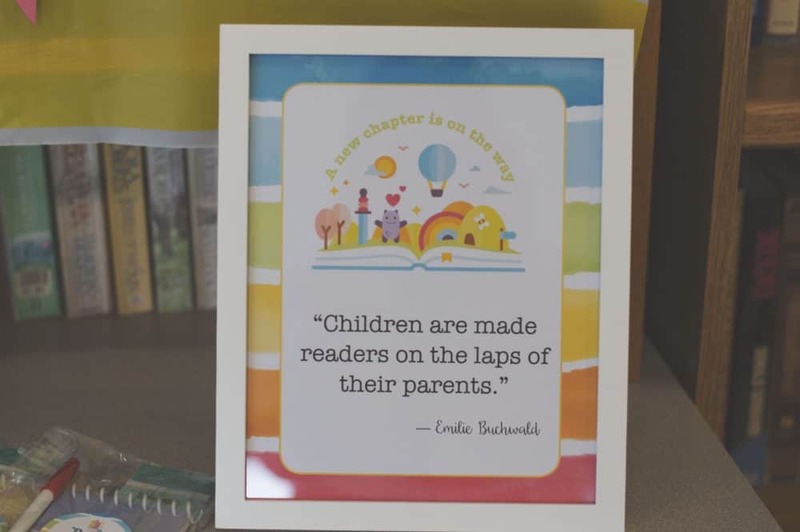 The invite was sent with a book insert requesting that each person bring a book, and a book label to write a special message to the new baby. 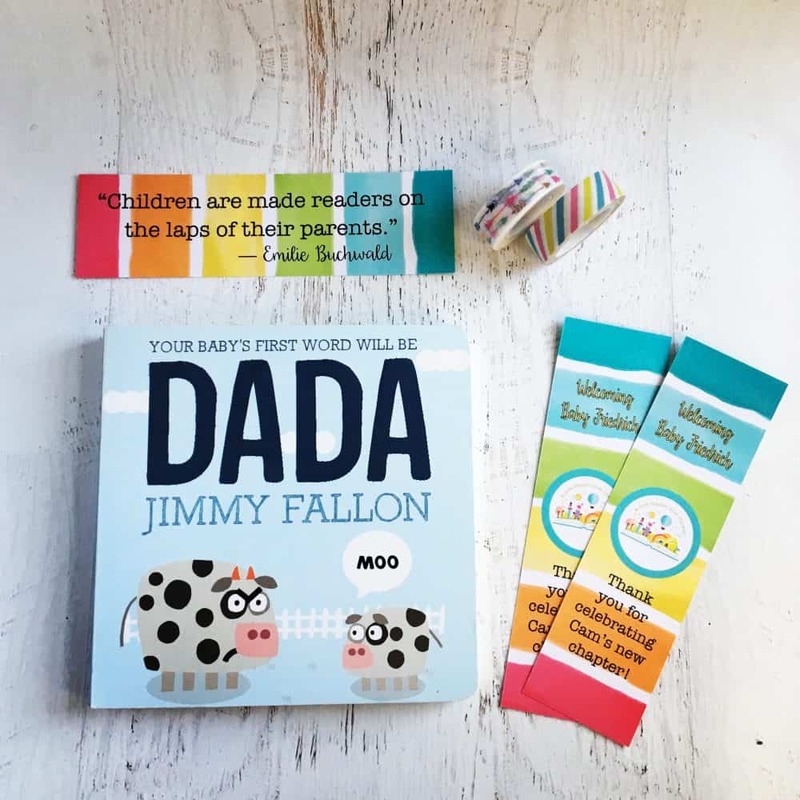 The new mom received a ton of great baby books (including some favorites: I Love You Through And Through ), Hand, Hand, Fingers, Thumb , and Pajama Time! . 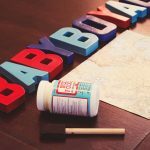 We love starting a little library before baby even gets here. 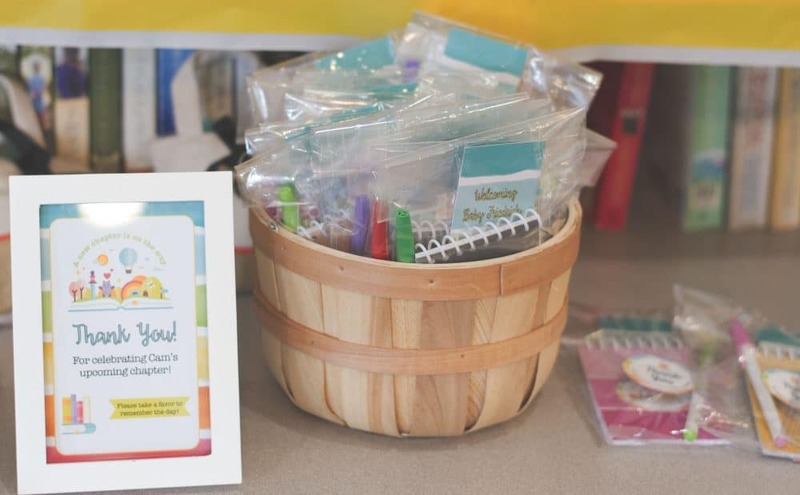 Each book, being labeled with a special message, will surely be a treasure for baby. 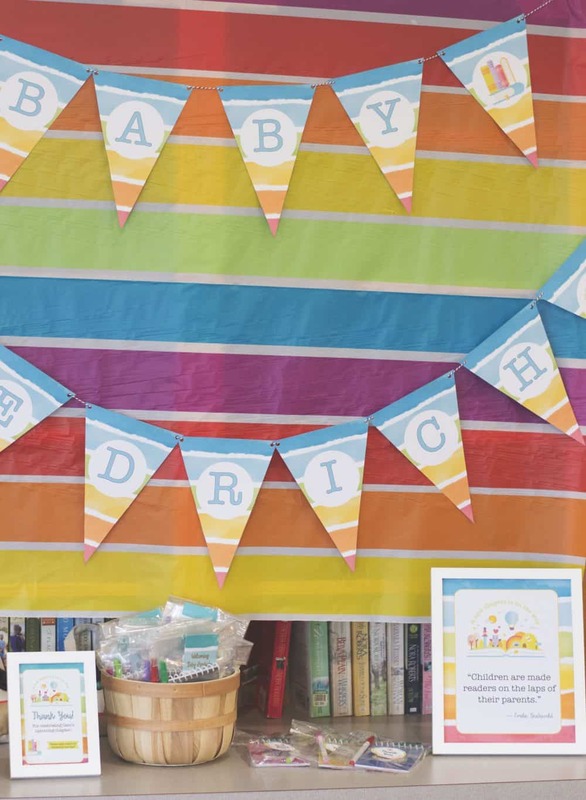 This rainbow book baby shower theme was so much fun for a gender neutral party. 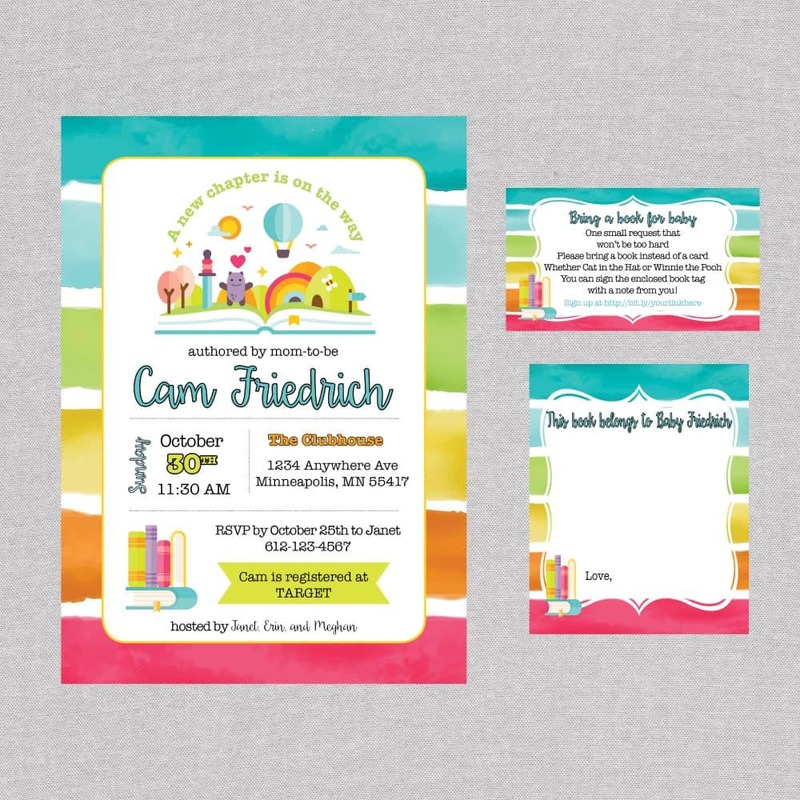 If you like these printables, they are available in my Etsy shop! There are so many ways you could style this theme. I’d love to hear other ideas in the comments. What do you think of this party?